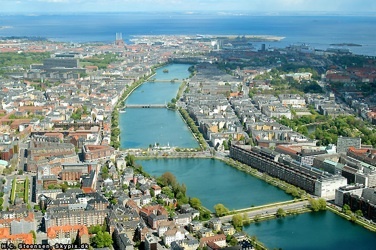 The sixth international workshop on Directions in Statistical Computing (DSC 2009) will take place at the University of Copenhagen, Denmark, 13th-14th of July 2009. This conference follows on from the successful DSC 1999, 2001, and 2003 conferences at the Vienna University of Technology, DSC 2005 at the University of Washington in Seattle, and DSC 2007 at the University of Auckland. 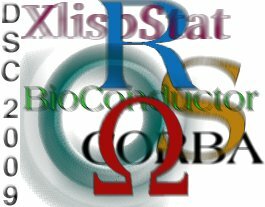 The workshop will focus on, but is not limited to, open source statistical computing and aims to provide a platform for exchanging ideas about developments in statistical computing (rather than 'only' the usage of statistical software for applications). Institute of Public Health, University of Copenhagen. 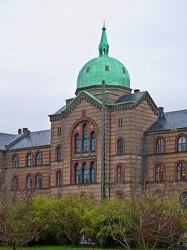 The Institute houses among others the Department of Biostatistics and is located at the Center for Health and Society in the charming buildings of the former Municipal Hospital of Copenhagen, now part of the University City Campus. It is expected that a large proportion of participants will bring a presentation. We particularly welcome contributions advancing statistical computing as an independent topic. You can submit your abstract via this link. 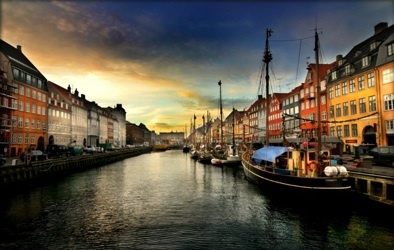 All prices are in danish kroner (DKK). "Students" does not include Ph.D. students. Information (from the convention bureau) about hotels, visa rules, terms and conditions for payment and registration, and various practicalities can be found here. Hotel reservation is part of the registration procedure. The hotels are well within walking distance from the conference venue. Weather in Copenhagen in July has a mean just below 20 degrees C, but with a standard deviation of about 2.5 degrees C. In other words, it is rather unpredictable. When the weather is good, it is extremely beautiful with long summer evenings, but it might also rain for days on end. There is a direct metro line from the airport to Nørreport station. This is about 5 minutes walk away from the venue and also near most of the relevant hotels. If you are staying at the Cabinn hotel, the next stop, "Forum", is closer. There are also connections by S-train from the Central Station. The sensible way to get from useR! 2009 to Copenhagen seems to be to take the TGV to Paris (CDG) and a plane from there to Copenhagen Airport (CPH). This is about a 2 hour flight.